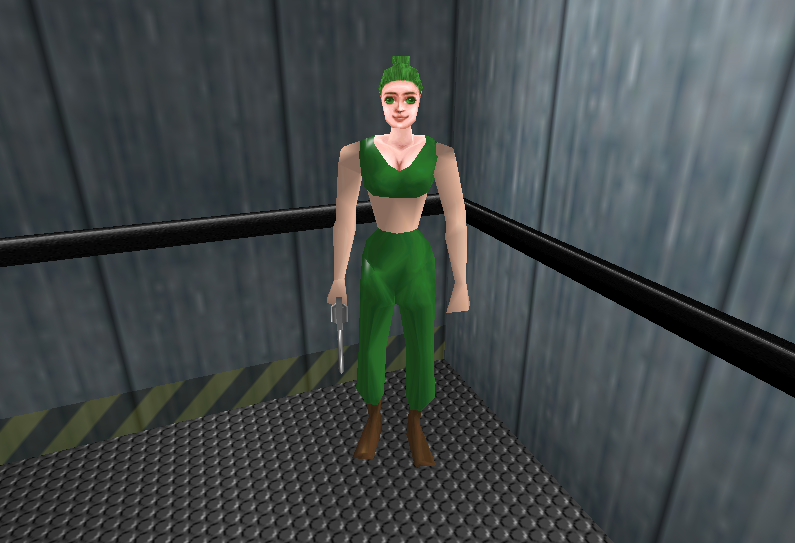 The body and head of the dataDyne Shock Trooper from Perfect Dark. Each model is separate, so you can use them individually. Open up your ROM in the Model Editor menu, select "Guard" type from the list, and choose the model in which you want to replace. After clicking "Edit", click on the "Import Model as Template" button on the lower left of the menu. From this window, choose the model template file. Should another window then pop up asking you to choose a ROM to save as (since new textures are being added), either select an existing one, or else type in a new name, then save. Once the model has finished importing, simply click "Inject into ROM and Update" to save your ROM again. If you do not inject the file into ROM, it will not be saved into it. This will replace the original GE model with the new one, and it will be ready to use. Make sure to put in both files, as the head is not attached to the body as one full character model.